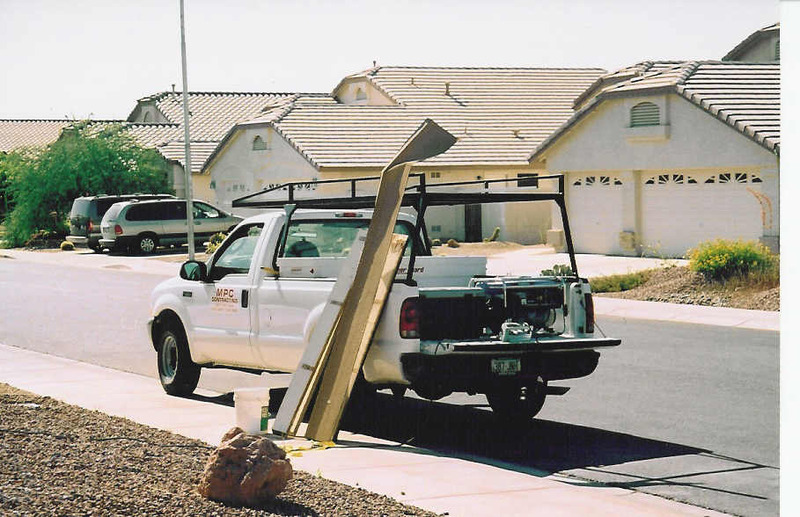 "The Story of A Five Year Old Patio Roof"
This is an example of a patio roof that was installed improperly by the builders roofing sub-contractor. This house was built in 1998. 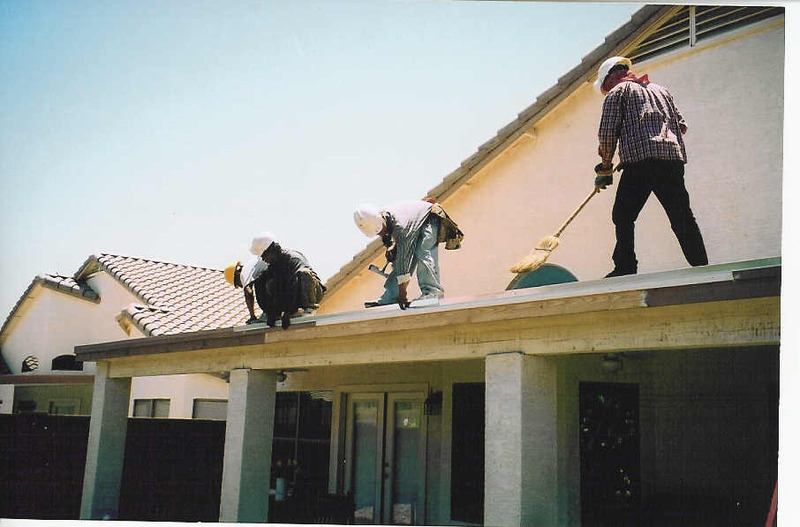 The buyers did not hire a Professional Home Inspector to check the house over before they closed on their new home. The buyers passed away and left the home to their siblings to dispose of. 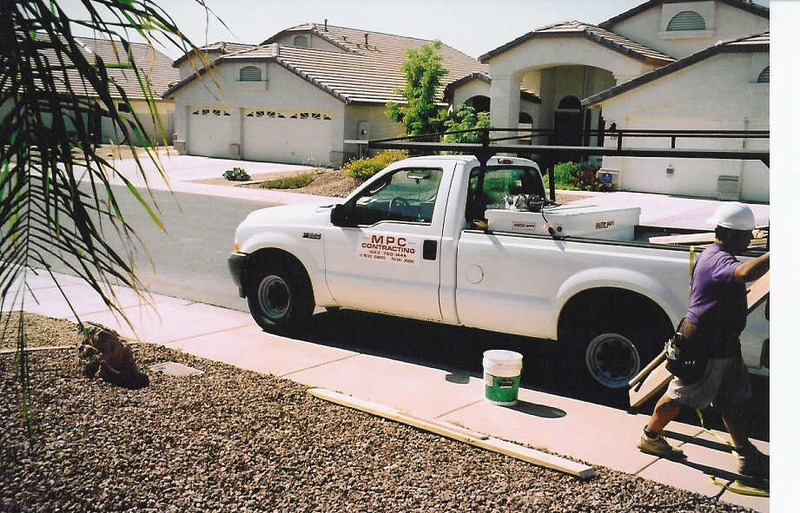 Our clients made an offer to purchase the home, contingent on our client's right to hire a Professional Home Inspector to examine the property. 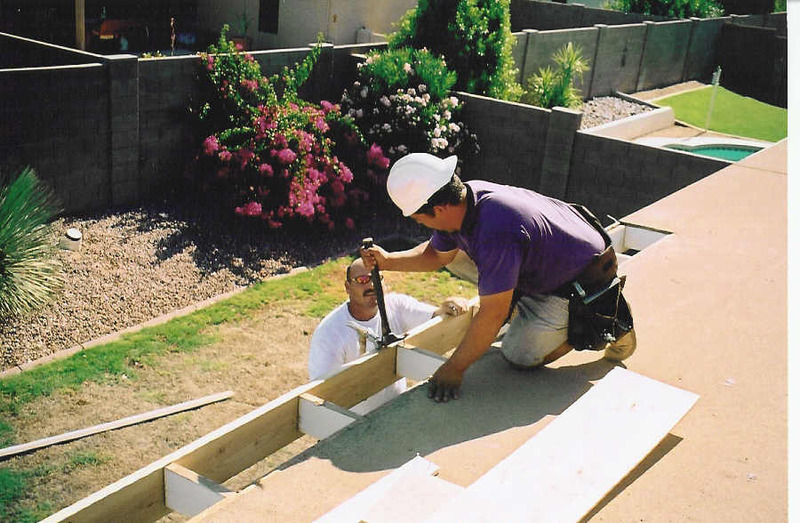 Many of the photos below demonstrate typical improper installation scenarios by builder and/or their sub-contractors. 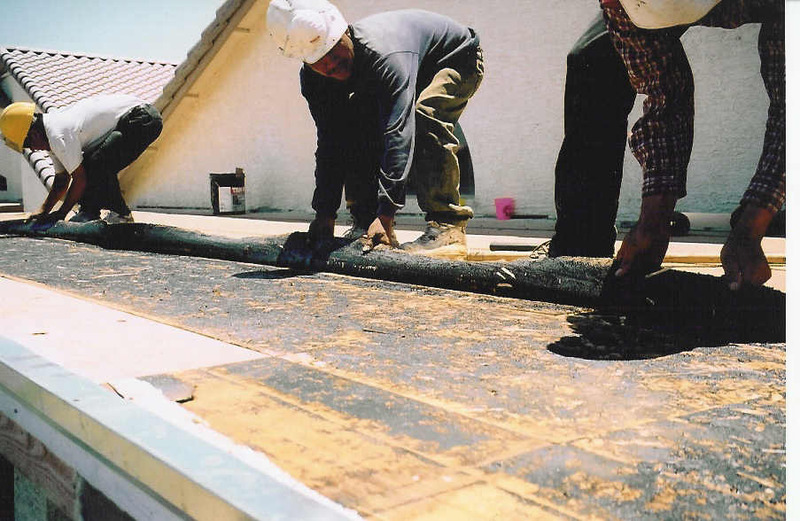 In this particular instance, the five year old patio roof was in significant disrepair with mold, mildew and rotted wood. 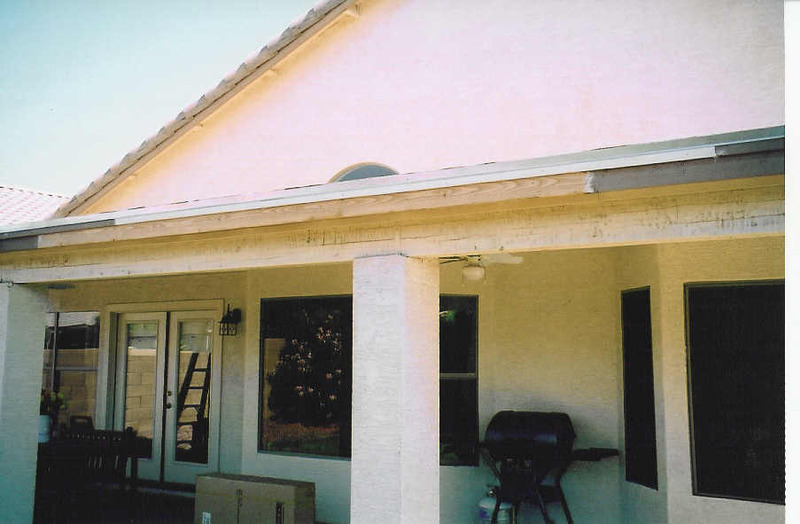 After a heated discussion with the builder, the seller and the seller's Realtor, we successfully convinced the builder to make the repairs to the main tile roof and to completely remove and replace (properly this time) the five year old patio roof. 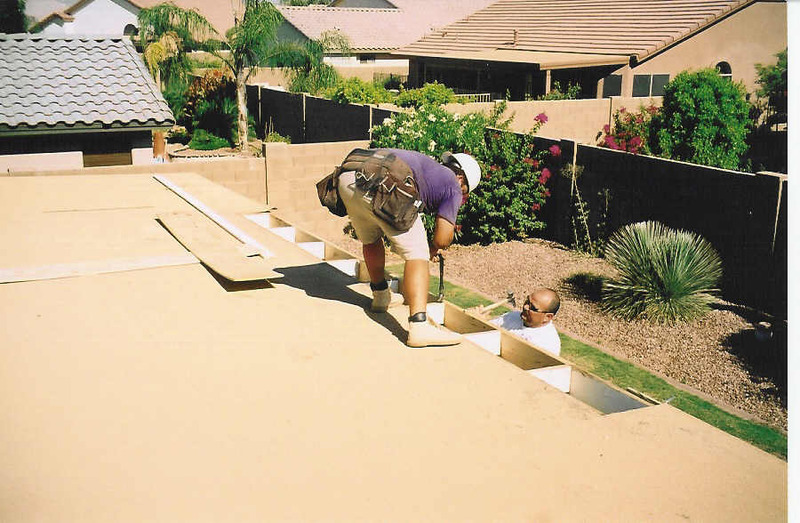 Below you will see photos of improperly installed components of the main tile roof as well as photos of the degradation of the patio roof. You can also access the Builder's Repair Orders, in PDF format. It is interesting to note on several pages of the PDF Builder Repair Orders, a note to "Back Charge" the original roofing sub-contractor. 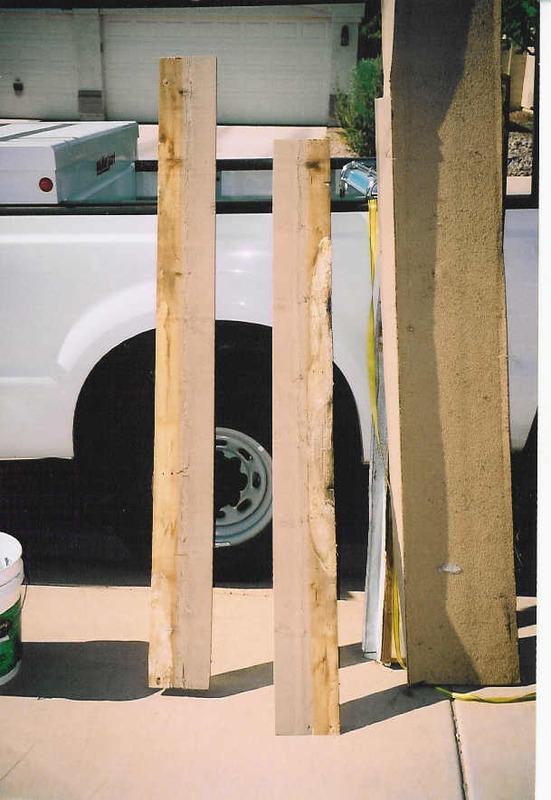 Images of damaged patio sheet plywood. View is taken from underside of patio roof. 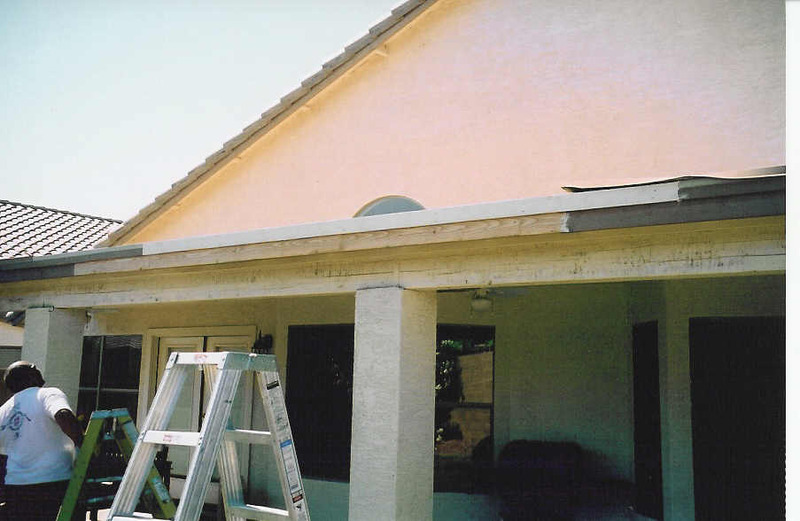 The entire patio roof was replaced by the builder, 6 years after the house was completed. Continental's repair vendor As the old patio roof cover is removed, workers confirm that the roof was installed without the paper/felt underlayment Demolition of the improperly installed patio roof begins. Improper vent pipe flashing installation Improper gas vent pipe installation, missing rain collars will promote rain water damage to the roof at gas pipe seam. Below is an example of a properly installed gas vent pipe system with the rain collar installed and the plenum joint properly sealed.